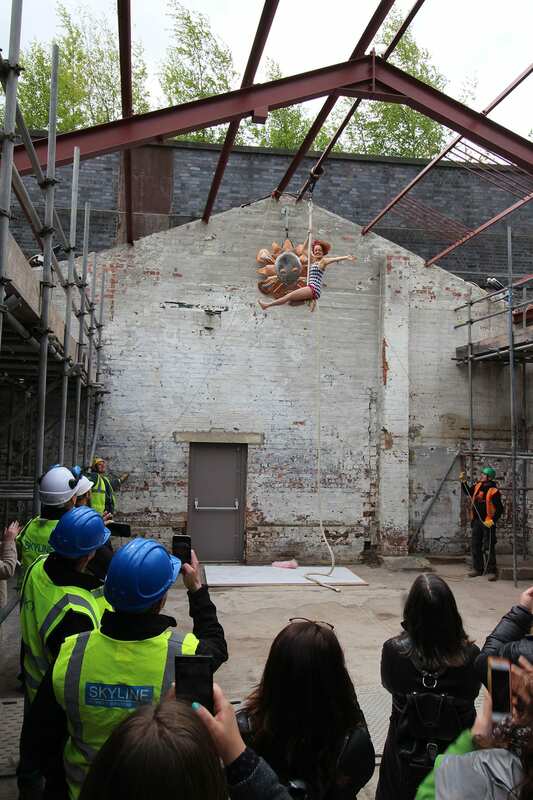 Todays site visit to Walk the Plank featured an excellent performance and the hoisting of the metal splat logo. 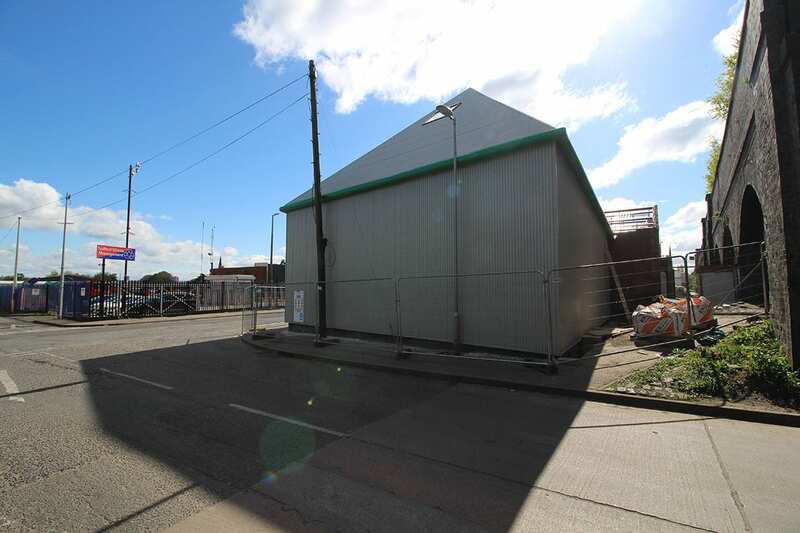 It was also fantastic to see the cladding almost complete and the green gutter largely installed. 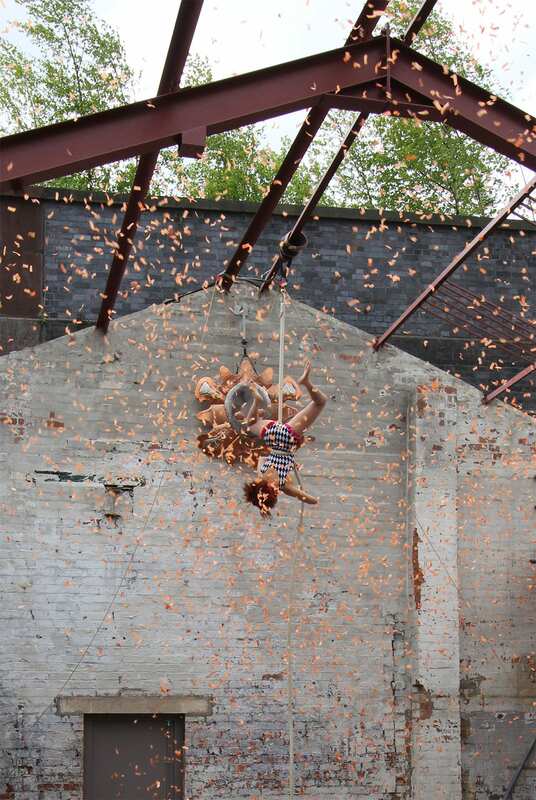 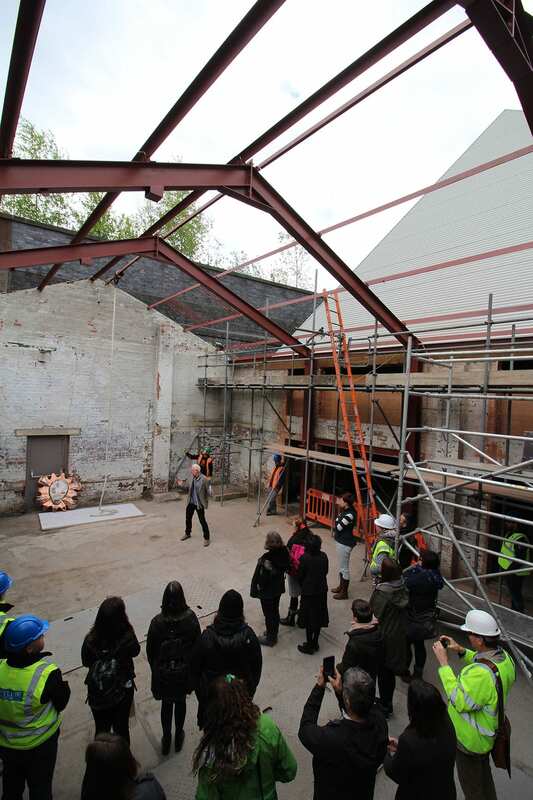 There are two months left on site to complete this exciting arts scheme that will allow Walk the Plank to focus their disperate operation onto one site in Coben Street, Salford. 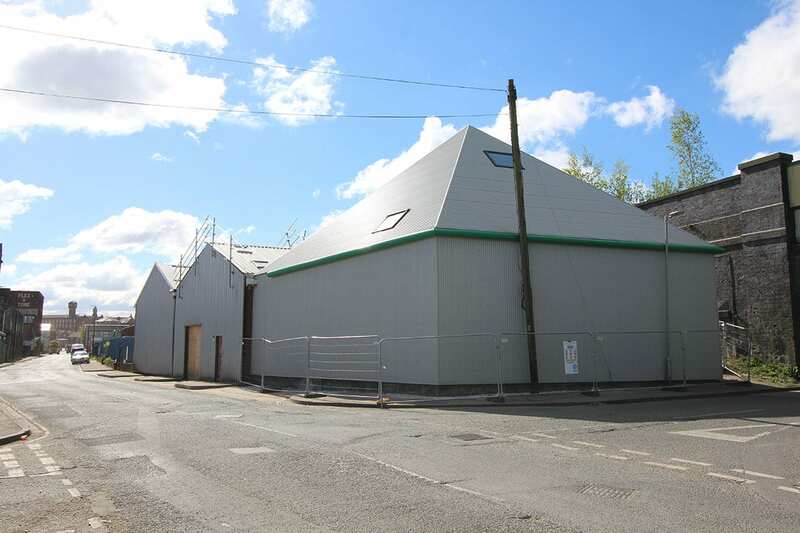 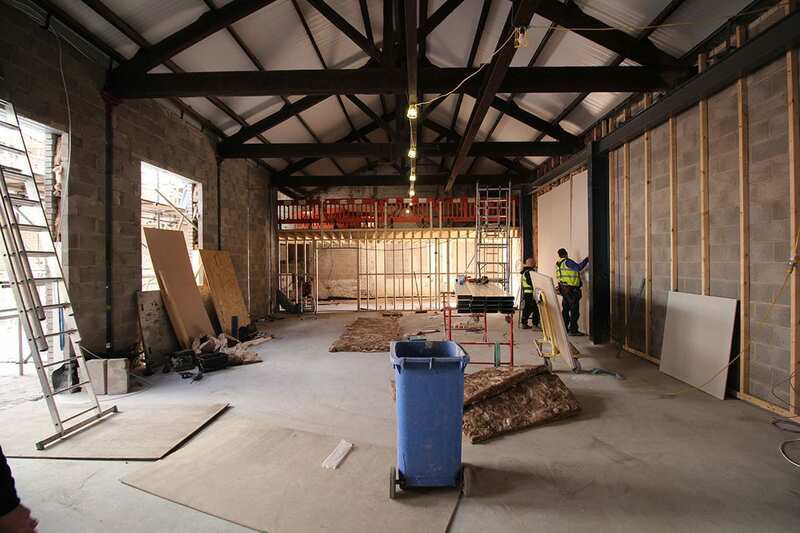 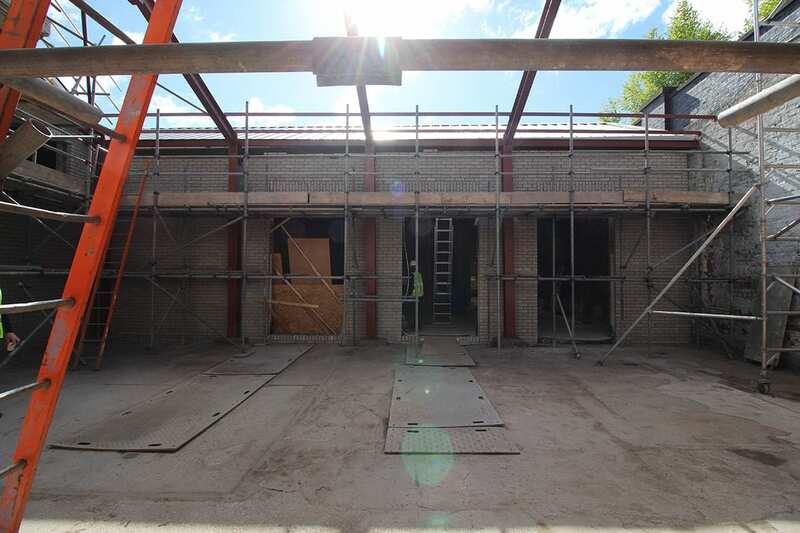 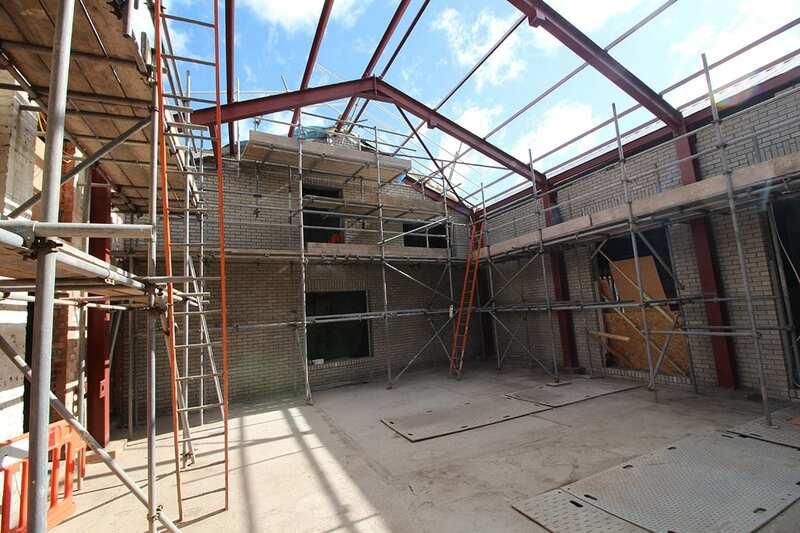 The scheme features office, training, workshop and rehearsal space.